Dell branded (non-generic) 1TB SATA HDD for your EqualLogic storage needs. The 9JW154-536, 2HR85 is a 1TB 7.2k RPM SATA 3.0Gb/s hard drive with optional tray for use specifically in Dell EqualLogic storage arrays. Whether you’re upgrading your Dell EqualLogic storage system or simply looking for a replacement hard drive, we have what you need. 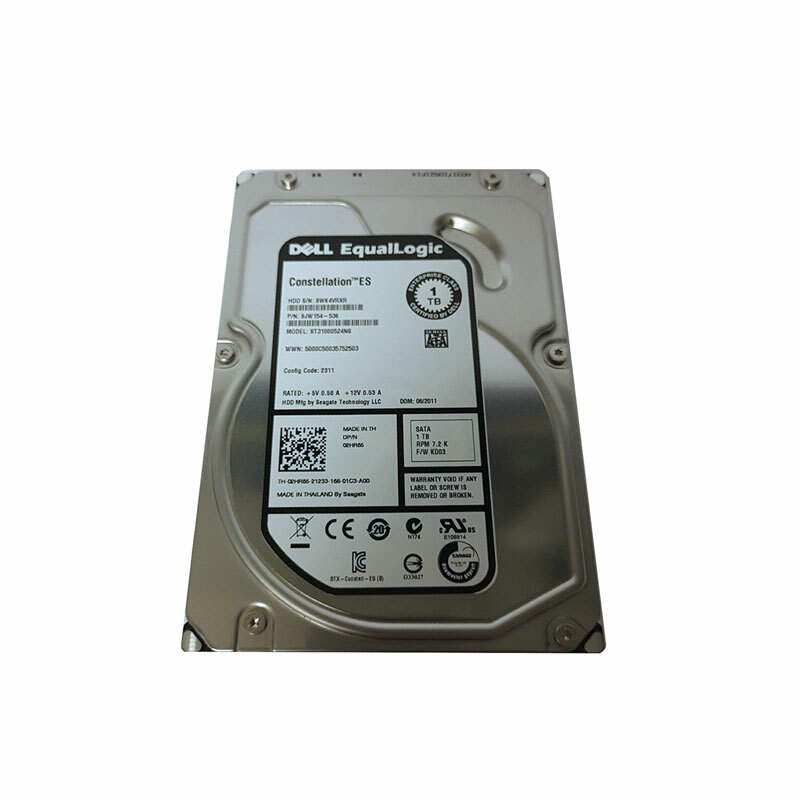 Dell EqualLogic SATA HDD with part numbers 9JW154-536, 2HR85 & ST31000524NS is best suited for higher-capacity environments to help realize cost and capacity benefits. Sequential access applications have a tendency to maximize any caching advantages of the storage system, and take advantage of the higher density SATA disk drives. In these applications, the speed at which the drive can transfer data from the platter has the greatest effect on overall performance. Thus, medium-to-large block and sequential I/O applications can reap the greatest benefits from the drive’s higher area-bit densities. Excellent, fast shipping and product worked without issue. Best price I could find online, and actually had them in stock. No run around like half the sites I visited.